Wednesday, 22 November from 3pm to 7pm at Broughton St Mary’s Parish Church, Bellevue Crescent. At these events, you can hear from the Council on how plans have evolved since their inception. Together for Edinburgh (a consortium of City of Edinburgh Council, Edinburgh St James [i.e. developers TH Real Estate], Laing O’Rourke, and the Scottish Futures Trust) has invited ‘important stakeholders’ (i.e. 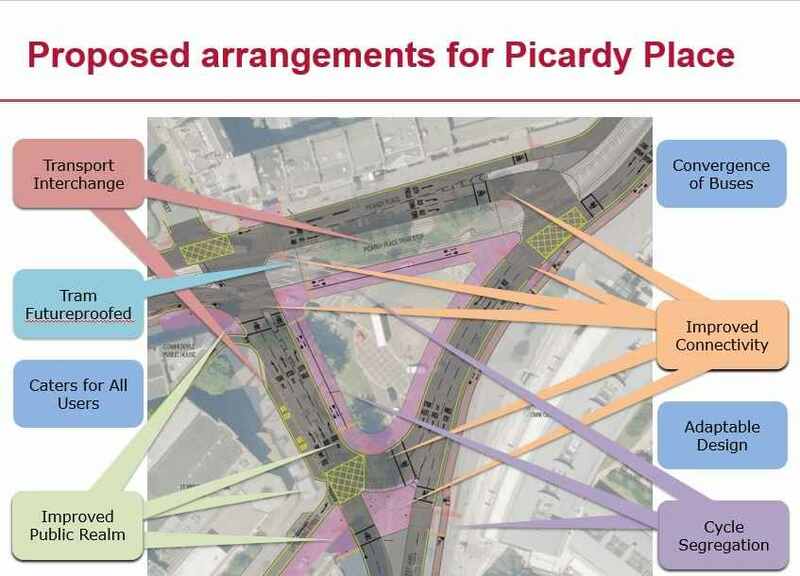 locals) to be told ‘what [the changes to Picardy Place] mean for you’. The Spurtle is concerned that ‘there is no mention on the invitation of you telling them what you think about it, or of contributing to planning democracy by describing what you’d like to see at the start of the design process. As far as we can see, it will be all one-way traffic’. With apologies for delay, please click to download the approved minutes for LCCC’s June 2017 meeting: 2017_06_19 final. LCCC’s minutes secretary and web-weaver was unavailable for some of August and September due to personal and work commitments.